In a bizarre moment of slipping it out under the radar with no official PR, Serato has announced Serato Sample, a plugin designed for the DAW in your life. Until now, producers have struggled to freely manipulate samples while maintaining high-grade audio quality. This has been solved with Sample, an intuitive sampling tool powered by Serato’s original plugin, Pitch ‘n Time. Since Serato launched almost 20 years ago, Pitch ‘n Time has remained the industry standard in pitch-shifting and time-stretching software. 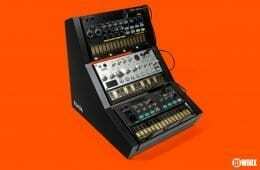 They’ve now come full circle, incorporating that powerful technology into an exciting new sampling plugin. Serato Sample is aimed at mid to high level experienced producers and works in leading production software such as Ableton Live, FL Studio, Logic Pro and Maschine. Including Ableton Live, FL Studio, Logic Pro and Maschine. Use Serato DJ’s popular Cue Point workflow to set and trigger pads. Manipulate each pad individually. Mess with key, bpm and more. Visually understand tracks without having to listen to them. Red for bass, blue for highs. Find what you’re after with waveform scrub and needle drop. So what is Serato Sample? It’s a little slice of Serato in DAWs, but not Serato per se. They’ve taken some of their key technology, welded it together, and made a plugin. Essentially it’s a slicer that allows you to cut up audio files with hot cues, assign them to buttons, and apply all manner of extras such as key shifting and stretching courtesy of Serato’s landmark Pitch n’ Time product. There are some interesting features in there too such as Autoset that picks the 16 best samples in your clip for you. I’d like to tell you more, but I was unsuccessful in my beta application. Only to be expected as they’re looking for feedback from producers and not DJs, which in itself sheds some light on Serato’s future aspirations. Given the literally named Serato DJ, could this be the first really insight into Serato’s production aspirations? There really isn’t new to do in DJ other than make things better and evolve a few features. So naturally they’ll be looking for new product avenues and revenue streams, with production being a natural option. 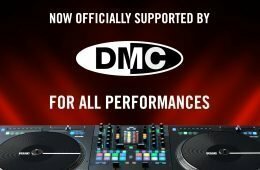 The question is would they prefer to work at a plugin level and leverage existing technologies, or will they go the whole hog and develop a full DJ friendly package that seamlessly plugs into Serato DJ? They tried working with Ableton via The Bridge, but the result was less than slick. So a more integrated solution is a much better idea, and gives Serato a brand new revenue stream to supplement Serato DJ and provide a solid suite for DJs and producers. I look forward to hearing feedback from people who successfully got into the beta program aka not me. Hell, I didn’t even get the PR. But I’m not bitter.